Dan Aykroyd may be best known for his years on Saturday Night Live, as the tall thin half of The Blues Brothers, or Dr. Raymond Stantz (“Ray”) from Ghostbusters. What many people may not know about Dan Aykroyd is that he is a very accomplished and savvy businessman who is the importer for Patron in Canada and owner of several wineries in Niagara. Now his signature spirit, Crystal Head Vodka, has been making its mark. 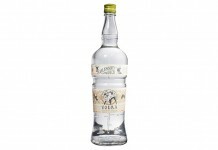 Well known for its cool crystal bottle, Crystal Head Vodka is out to prove that great packaging and a very well known and admired owner are just part of its success – it’s what’s inside that bottle that really counts. We interviewed Dan Aykroyd about his involvement with Crystal Head Vodka, his experience as an owner of the brand, and the challenge he faces with having such an amazingly cool bottle. How did you first get involved with Crystal Head Vodka? It started when I brought Pátron tequila to Canada. At first we couldn’t get Pátron to Canada, so we spoke to Diamond Estates Wine & Spirits and got them involved. 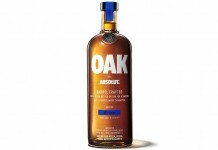 Are you considering doing other products besides Vodka? Crystal Head Vodka, other liquid libation projects, and my acting career keep me very busy! 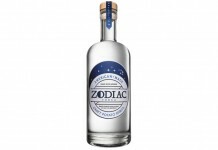 Why do you think Vodka is such a popular spirit? Which cocktail do you think shows off Crystal Head the best? A favorite recipe of mine is “The Cranium,” which uses Crystal Head Vodka, cranberry juice and a splash of grenadine. What has been the biggest surprise for you with Crystal Head Vodka? I am surprised at the number of people who become fans after one sip! Getting people to open the bottle. Lots of times I hear that people buy Crystal Head Vodka for the bottle – that’s great but please crack that skull open. Since I don’t think you have been any movies together, I don’t know if you know each other, but I was curious if there is a friendly rivalry between you and Bruce Willis with his Sobieski vodka. No rivalry, Bruce is a spokesperson for his brand. I created Crystal Head Vodka and am the majority shareholder – there’s a much deeper connection with the brand. 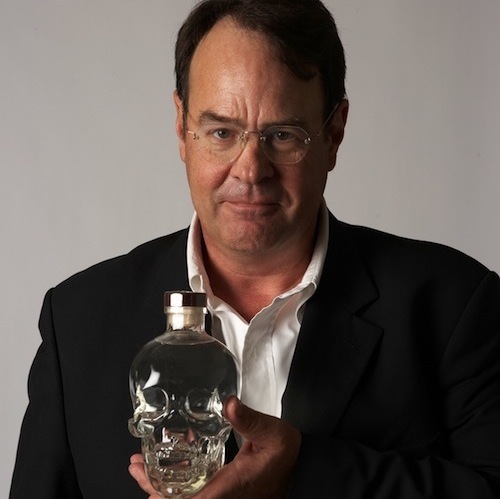 Dan Aykroyd has been touring with the Crystal Head Vodka and signing bottles in various cities. His next stop is in Portland, Oregon on September 27th from 3-5pm at Stateline Liquor, 1109 North Jantzen Drive Portland, OR 97217.